San Francisco, CA – VIZ Media, LLC (VIZ Media), a premier company in the fields of publishing, animation distribution, and global entertainment licensing, delivers the visually stunning K: MISSING KINGS feature film home media release to audiences. Set for release as a Blu-ray/DVD Combo Pack and as a Standard Edition DVD Set, K: MISSING KINGS expands the story of a once easygoing teenager that becomes embroiled in a deadly war between seven bloodthirsty clans. The film’s plot takes place one year after the conclusion of the original K anime series, which VIZ Media first released in 2013. 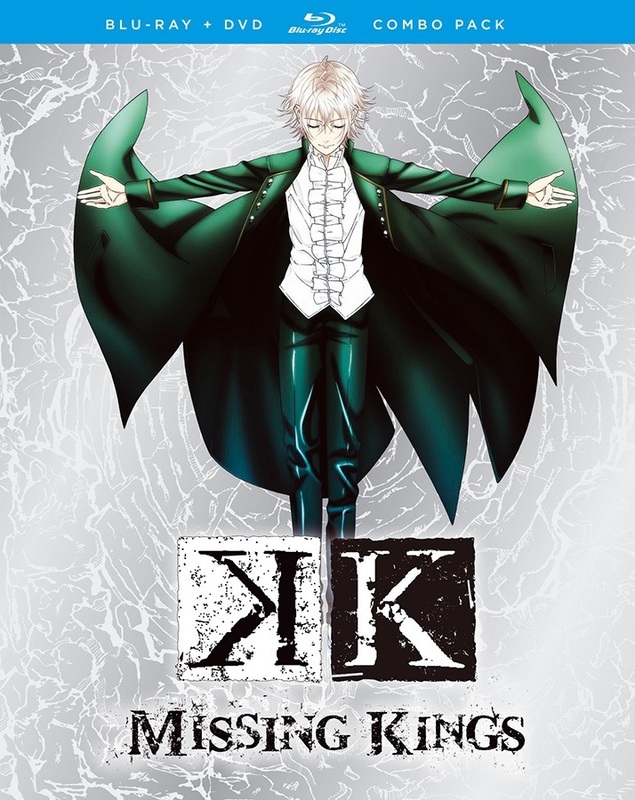 K: MISSING KINGS features a notable English voice cast that is highlighted by Sam Riegel as Yashiro Isana, Matt Mercer as Kuro Yatogami, and Stephanie Sheh as Neko. The K: MISSING KINGS Blu-ray/DVD Combo Pack will carry an MSRP of $29.98 U.S. / $34.99 CAN and features full 1080p HD resolution, 16x9 video. The Standard Edition DVD Set will be offered with an MSRP of $19.98 U.S. / $24.99 CAN. The Combo Pack’s notable bonus features include a character bio gallery and trailers. In K: MISSING KINGS, Silver Clan members Kuro and Neko are on a mission to find their king, Shiro, who went missing after the battle on the School Island involving four of the seven colored kings. During their search, the two discover that Red Clan member Anna Kushina has become the target of the mysterious Green Clan, which intends to use the girl’s special power to track down Shiro. Now the Silver Clan and Red Clans find themselves joining forces to protect Shiro and Anna from this new threat. But will this unexpected alliance be enough to counter the Green Clan’s top fighters, as well as its king?